Most of us rely on them for anything from social media monitoring to strategic marketing or marketing automation success. Whether it is marketing, Customer Success, Information Technology or Sales, almost of all of us depend on API's for some of our business processes. API's have revolutionized what we can accomplish and how. Integration has become easier, quicker and needs less investment. Combine that with more and more big players opening up their platforms to API integrations and suddenly we have all become integrator's and stream-liners. We feel so much better with our new found possibilities to automate our tasks and be more productive. At About Inbound we have put on a push to grow our Twitter audiance by creating a company Twitter account. We're sharing a lot of content we think is helpful to our audience. Last month we encountered an issue with our Hubspot Twitter integration which caused us significant headache and made us question whether our Hubspot Social media integration is reliable enough to continue using it. We have also became more aware of our other API driven processes as a result. We are using Hubspot's very powerful social media tools to pre-schedule our content over a number of days. We then have time to find new content as we scour the web for our own development. Prescheduling our content also allows us to focus more on having direct contact with people on social media during the day instead of just focusing on churning out tweets/posts etc. To allow us to schedule these and integrate them with Hubspot reporting and campaigns, we have a number of social media platforms connected to Hubspot's social tools. These of course depend on Hubspot's API integrations in the background. Our audience stats remained static over 2 separate Twitter accounts for over a week. This is so unlikely that it led us to finally agree our integration need to be looked at. We contacted Twitter and were reminded about the fact that Twitter basically gives no support. They allow you to log a ticket.. But for what purpose I am not sure??? They point out that they will not get back to you but they may do something with it if they feel like it (link to Twitter support form). Customer Experience failure anyone? Of course we contacted Hubspot support as well and they were at least more directly engaged. After explaining the issue and sending over some screenshots to try and clarify, they suggested a workaround we had also considered. To disconnect and reconnect our accounts in the Hubspot Social Media settings. They confirmed that if you disconnect and reconnect the accounts your stats and scheduled tweets/posts will remain available in the portal. Of course, we still exported our scheduled content to be on the safe side. All seemed well and our followings started to fluctuate and increase as expected. A curious thing also happened that made us question the reliability of Twitter's social media platform in General. The Audience size stat in Twitter's own analytics now showed fluctuating followers for the days it showed a constant following before. This raises major questions as surely a historical stat on Twitter itself should not be affected by any API integration and should be read only (e.g. remain constant when the day for which the stat is shown has passed). This basically makes all Twitter stats feel completely unreliable to us. After loosing a lot of time in lost Twitter growth and addressing the issue we naturally kept a closer eye on our stats and followings and low and behold. The same issue reoccurred last week. This time the flat line lasted for 3 days before we were sure enough that this wasn't natural. We re-engaged with Hubspot and eventually got the response that this is a Twitter issue and there is nothing they can do about it.An easy way out for them I would say as this is not likely something that is easy to solve... This is obviously beyond the capability of the customer facing support team. Meanwhile we have implemented the same workaround (disconnect and reconnect) and can only hope that things will stabilize if Hubspot's development team make changes in the background. 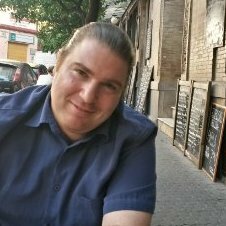 What to do about this API integration issue? Our workaround is not a great solution as the issue is likely to return. We have no access to the API back end to look into this ourselves and no support that seems willing to look into this issue for us. One side (Twitter) has not responded and the other side (Hubspot) has blamed Twitter. Every time the Twitter integration issue reoccurs we loose out on followers which means wasted time. We are still hoping that Hubspot will be able to follow up and provide a more lasting solution as Hubspot support in general is pretty good but if the issue is not common/has to do with Twitters back-end this might become a protracted support case or might never get resolved. Twitters apparently ignorant attitude to support tickets doesn't bode well for Hubspot's chances to address the issue with them. We remove at least our Twitter integration completely and continue with manually writing out content throughout the day. Not a good option as we loose a lot of Hubspots integration possibilities and it means way more time spent throughout the day to keep our content going. We reconnect our accounts on a daily basis untill we get a solution from Hubspot support. Since we have no idea where the this issue originates and that the API seems to affect Twitters actual stats on their own platform in incorrect ways we are naturally concerned about the effect continued discconnection/reconnections will have on our accounts. We could also move to another integrated scheduling service such as hootsuite or tweetdeck. 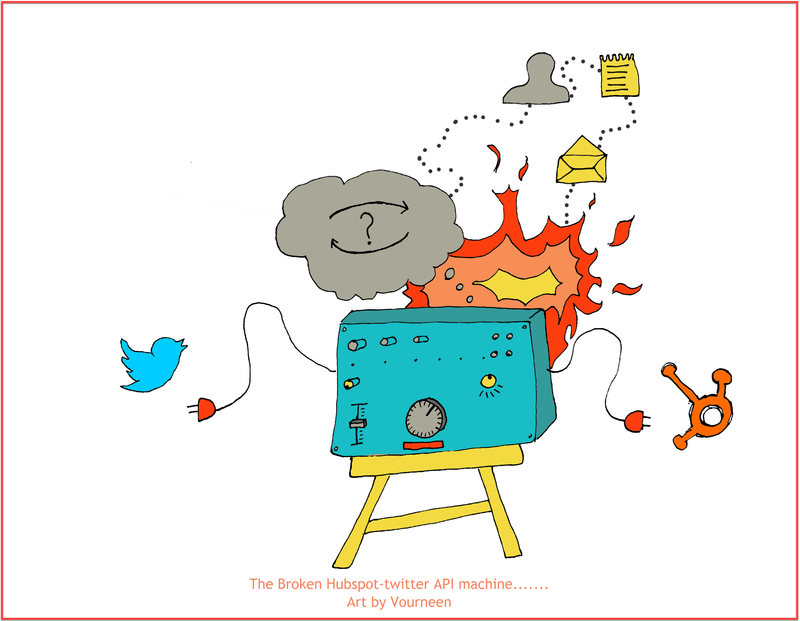 However if the damage done sits partly on the Twitter platform this will not solve our issue and lead to more lost time it also means less integration with Hubspot, more ways of working and possibly investing in an additional platform. None of these 3 options come across as good solutions to us. Use your common sense to question your stats and compare them across platforms on both ends of the integration. While the set it and forget it tag line often used for API integrations sounds lovely, in reality this is a dangerous way to look at them. Integrations need supervision, whether on a frequent basis. The more critical the data and the more time is spent on tools depending on the integration, the more frequently it should be monitored. It is important to have a backup plan or workaround at hand for an integration. The more critical the integration, the more detailed the plan should be and the faster you should be able to implemented. 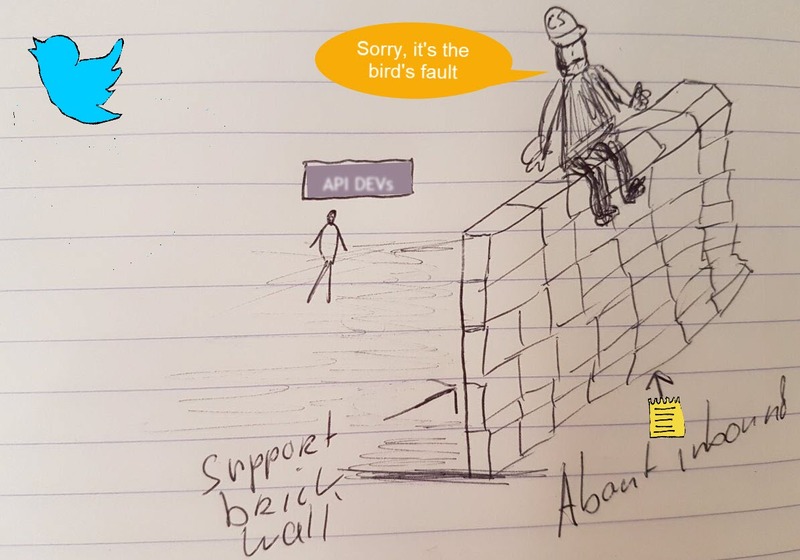 If content is controlled by the integration you should make sure you have a back up, as API failures could also lead to dataloss. There have been updates by both Twitter (last month) and Hubspot (noticed today) on this matter. They basically confirmed that the issues we were having were the result of "design changes" by twitter. Hubspot will update their platform accordingly We wrote another post about these developments. and how they affect our views expressed above. While we are happy that we now know what caused our issue it did make us consider if Twitter is worth the investment of our time/resources..